COMPATIBLE CON: VAIO E Series SVE141100CVAIO E Series .. COMPATIBLE CON:VAIO VPC-Y115FG/SSONY VAIO VPCY115FGSSON.. COMPATIBLE CON:Sony SVS13 SerieSony SVS1311G3E/SHBSony .. COMPATIBLE CON:Sony SVS15 SerieSony SVS15112C5ESony SVS.. COMPATIBLE CON:Sony VPCY SerieSony VPCY115FG/SSony VPCY.. 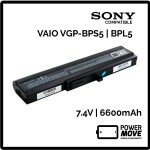 COMPATIBLE CON:Sony Vaio PCG-61215LSony Vaio PCG-61315L.. 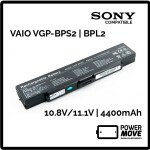 COMPATIBLE CON:Sony VAIO VPC-EH100CSony VAIO VPC-EH100C.. 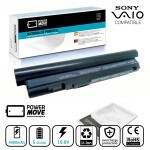 COMPATIBLE CON: Sony VAIO VPB-CB16/BSony VAIO VPB-W112.. COMPATIBLE CON: Sony VAIO SVE17115FDBSony VAIO SVE1711.. 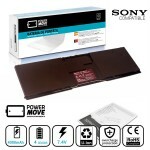 COMPATIBLE CON: Sony VAIO SVE15111EASony VAIO SVE15111.. 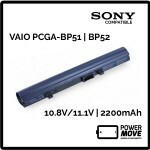 COMPATIBLE CON: Sony VAIO PCG-61211MSony VAIO PCG-6121.. COMPATIBLE CON:Sony VAIO PCG-6C1MSony VAIO PCG-6D1MSony.. COMPATIBLE CON:Sony VGP-BPL11Sony VGP-BPS11Sony VGP-BPX.. COMPATIBLE CON:Sony VGP-BPL19Sony VGP-BPS19Sony VGP-BPX.. COMPATIBLE CON:Sony VPCSA SerieSony VPCSA2Z9ESony VPCSA.. 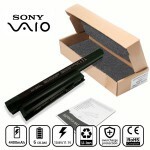 COMPATIBLE CON:Sony VAIO VGN-NR SerieSony VAIO VGN-NR10.. 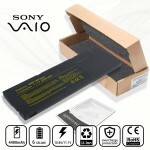 COMPATIBLE CON:Sony VAIO VGN-CR SerieSony VAIO VGN-CR11.. 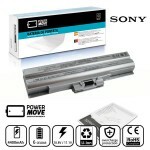 COMPATIBLE CON: Sony VPCEH SerieSony VPCEH1E1E/BSony V..
MODELOS COMPATIBLES SONY VGP-BPL18 S..